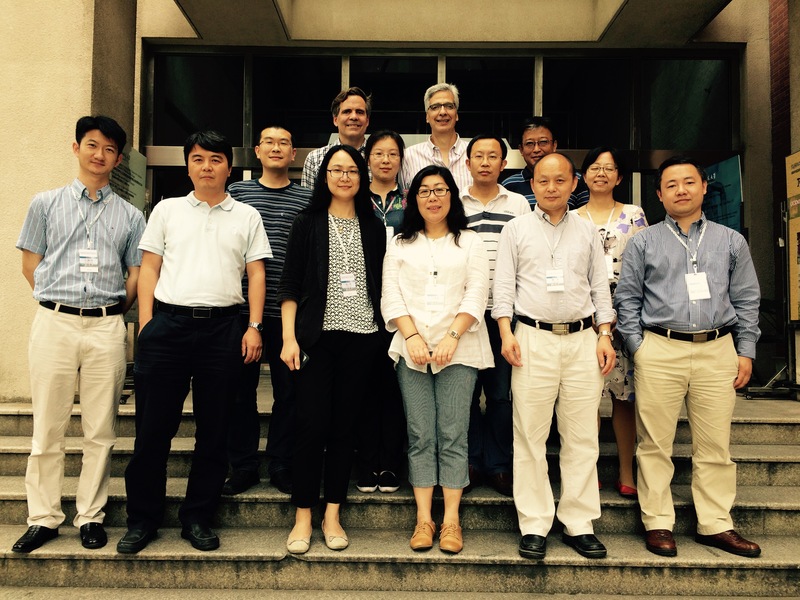 Marc Mastrangelo and I traveled to Shanghai in June, 2015 to meet some leading Chinese scholars of the Greek and Roman classics, with a view to exploring possibilities for collaboration on a Chinese version of the Dickinson College Commentaries websites. Our contacts in China were made via Jinyu Liu, who is Associate Professor and Classics Department Chair at DePauw University, and also Shanghai “1000 plan” Expert/Distinguished Guest Professor at Shanghai Normal University, where she resides in the summer months. 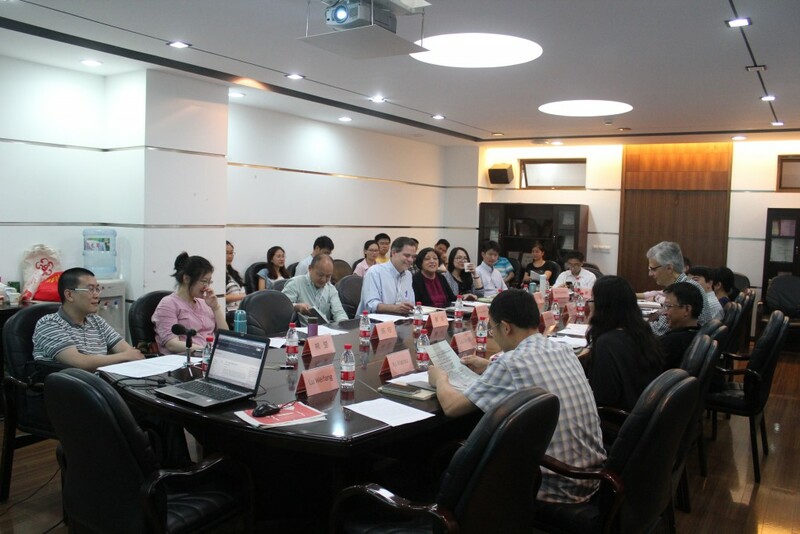 The conference was jointly sponsored and funded by Dickinson College, thanks to Dean and Provost Neil Weissman, and by Shanghai Normal University, thanks to Chen Heng, Professor of Humanities and Communications there. Participants included Liu Chun (Peking University), Chen Wei and Bai Chunxiao (Zhejiang University), Zhang Wei and Huang Yang (Fudan University), Xu Xiaoxu (Renmin University of China), Xiong Ying (Nanjing University), Zhang Qiang and Wang Shaohui (Northeast Normal University), and a contingent from Shanghai Normal itself: Kang Kai, Li Shangjun, and Yi Zhaoyin. Unable to attend but interested in the project were Li Yongyi (Chongqing University), and Michele Ferrero (Beijing Foreign Studies University). The meetings took place in a seminar room in the humanities building at Shanghai Normal University. We were assisted by a wonderful group of SHNU students. The conference itself began on Friday, June 12. It started with a presentation from me on the topic “Digital Commentary on Classical Texts: Problems and Prospects,” which outlined the goals of the current DCC project within the context of unsolved problems of text annotation in a digital environment. I ended by emphasizing the collaborative nature of this kind of work, and urged the group to think about what kinds of resources are most needed for Chinese students and scholars. Throughout the seminar we talked with Chinese students as well, learned about their needs, and heard about current teaching practices and materials. On Saturday morning work began in earnest translating the Greek Core Vocabulary into Chinese, starting with the grammatical terms and categories. The Chinese scholars appreciated this exercise in particular, since the special terms to describe Greek and Latin grammar have yet to be fully standardized in Chinese. They repeatedly said that the opportunity to discuss such issues as a group was very valuable. Saturday afternoon, while work continued, Marc and I took the participants outside one by one and interviewed them on their hopes for the project, and on their views on the importance of the Greek and Roman classics in contemporary Chinese intellectual and cultural life. This video was captured by Eleanor Yan (Dickinson ’18). Her father, who works for a Chinese television station, provided the camera. We plan to edit this video into an introduction for the project on the website when it is developed. Since the participants arrived having previously done translations of a subset of the Greek and Latin core lists, the editing work proceeded quickly once they got going. Part of Saturday afternoon and most of Sunday was devoted to the Latin list. The latter part of Sunday afternoon was spent on a discussion what direction they would like the project to go. Greek and Latin grammars were also identified as an important project, though one that may take longer to complete. And it was agreed that the long term goal would be to produce reliable translations and commentaries on all the major of the works of the Greco-Roman classical canon, an undertaking that will take many years. The team that met in this seminar now constitutes our Editorial Board, the team of classicists who will oversee the development of essential infrastructure such as lexica and grammars, high quality language teaching tools for Latin and Greek, and expert commentaries and translations by Chinese scholars that make the classics fresh, relevant, and interesting to Chinese students. All resources will be provided free of charge on the internet, giving direct access to the words and ideas of the Greek and Romans to millions of people for the first time. A reasonably priced mobile application will allow serious students to learn on a convenient and portable platform. 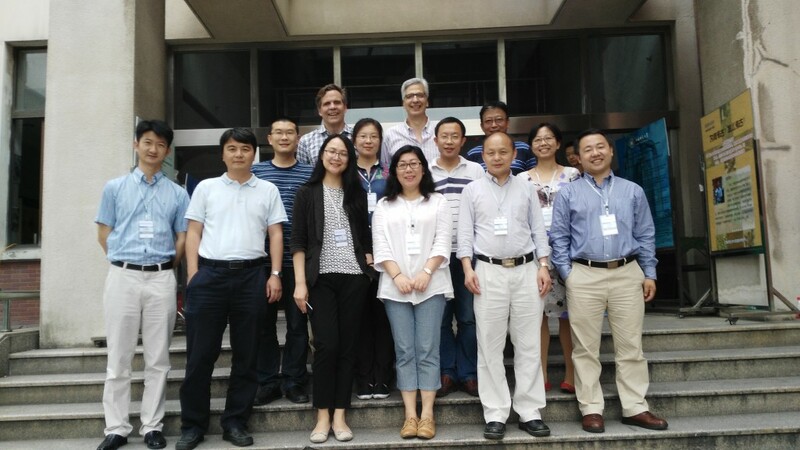 This initial meeting included a concrete beginning, the production of a communally edited Chinese version of the DCC Greek and Latin Core Vocabularies, which is one of the most widely used features of the DCC site. We plan to have that up as a website this summer, and will work with computer science students to begin creating the mobile application. In the meantime some prominent western scholars have signed on to be part of an Advisory Board: Shadi Bartsch-Zimmer (University of Chicago), Walter Scheidel (Stanford University), and Jeremy McInerney (University of Pennsylvania). With a distinguished team on both sides of the Pacific, we hope to be in a good position to raise substantial outside funds to make the ambitious project a reality. Our hope is that DCO can bring Chinese scholars to Dickinson to work alongside each other and with the scholarly and web development team that creates the DCC. This entry was posted in Uncategorized on August 11, 2015 by Chris Francese.